It is ideally situated just 450 yards from the town centre and beach. It can accommodate up to 6 people plus a baby and comprises of 3 bedrooms, the main has a king size double bed with an ensuite which has a walk in shower, the second bedroom also has a double bed and is adjacent to the family bathroom and the third bedroom has bunk beds. The family bathroom has a bath with a shower over. There is another toilet on the ground floor. 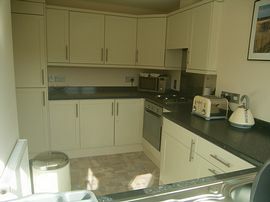 The kitchen has built in appliances including oven and gas hob, washing machine, fridge/freezer and a dishwasher. There is also a microwave, kettle and toaster. As you enter the cottage there is a dining area with table and six chairs. 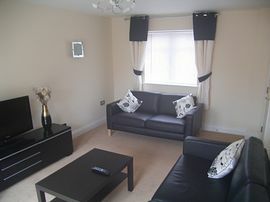 The lounge has a flat screen TV with freeview and a DVD player with a selection of DVDs. There is a courtyard garden. 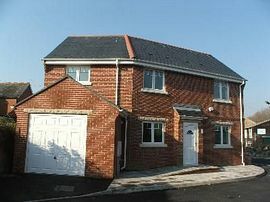 The cottage has it's own integral garage for parking - parking space is at a premium in Swanage! Adjacent to Swanage Steam railway. 450 yds from town center and beach. Swanage is a seaside town at the southern end of the Isle of Purbeck in Dorset and is most easily reached by car. 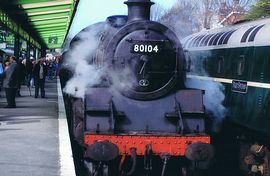 The main line train stations are at Bournemouth and Poole, then you need to catch a local bus to Swanage. The nearest airport is at Bournemouth. 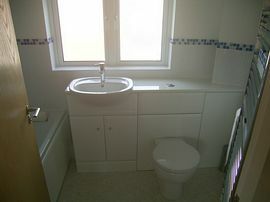 There is a £100 per week non-retunable deposit required. Full payment is required 6 weeks prior to holiday commencement plus a £100 damages deposit.